Over the last 5 years YEPP Community Network and YouthBank International network members have seen a dramatic shift in how alternative forms of funding have been secured. Crowdfunding is fast becoming one of the preferred funding methods in the community and voluntary sector around the world: it allows organizations with limited resources to reach a large and varied number of potential donors using an online platform to promote a public campaign for accepting donations. But registering a project on a crowdfunding platform is not enough to manage a successful campaign. To develop an edge over competing campaigns, organizations need to learn how to develop a strategy and make full use of social media outlets to reach as many donors in a compelling manner. It can be very hard work to convince people to make contributions to a local fund run by young people or to raise much needed money for a special project. 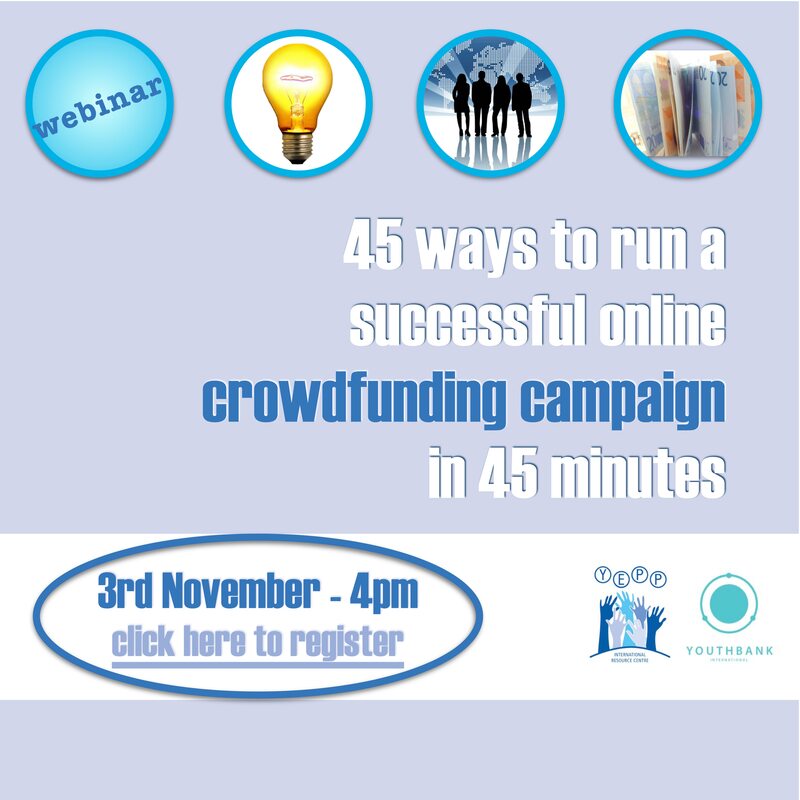 Hear how 3 guest speakers have used crowdfunding as a tool to meet their organizations’ needs. The ups and downs of local campaigns all in 45 minutes. If there is one webinar you sign up for this year, make it this one.